"Darren was a real nice guy made us feel at home from the get go ." Read our customers' honest and impartial Volvo XC90 car reviews and ratings to easily find your next car at Motorparks. Excellent car. I am very pleased with it up to now! I love driving it. It appears to be another great Volvo and my 6th. Dealer was excellent and very pleased with the car so far. Totally fabulous car. Exceeded my expectations! Value for money or what! I love my XC90 and I am so pleased I purchased this car. I am a chauffeur and have driven all types of cars and this vehicle is my favourite so far. I have the R design which is not top of the range but is equipped with all that I need. I would suggest customers take this for a test drive as I am sure this will satisfy what your looking for. Outstanding car. XC90 exceeded my expectations. Having read all the reviews for the XC90 and similar cars, I drove the short list of Volvo XC90, Mercedes GLE, Jaguar F-Pace, Audi Q7 and Lexus RX. It's all about personal preference with these cars so I went for the Volvo. Having covered the first 1000 miles in the Volvo I am only just getting to know the car, but all the plus points are there from the reviews. Fuel economy is better than expected for a big car but it has been a gentle start. The tech is good and there is a lot of it as standard. The only irritation is the basic USB media MP3 player SW, as it can't handle compilation music albums. Which, given that the car is capable of almost driving itself, is a surprising detail Volvo have not resolved. I have not got to grips with the navigation as yet, other than the basics, unsure if the RTTI does what it is supposed to - still on the learning curve at the moment. But overall the car is as good as the reviews said it would be. This coming weekend is the first real trip with dogs, grandkids and family which is the reason for owning this car, but when I am on my own its got the comfort finish and toys of an executive class car. To top it off the buying experience from Doves Horsham has been first class. Absolutely love my new car, it drives so well and pleased it caters for my increasingly growing family and is safe and hopefully reliable! I and my family are delighted with the XC90 T6. It is a terrific car of real quality, versatile, comfortable and great fun to drive. We are still getting used to the new technology being used to an older car but this is a plus. Safe, exciting and very happy motoring! Very beautiful, surprisingly comfortable and quiet car for its size. This car is 1 in a million. The Volvo XC90 Inscription has road presence like no other. It exudes pedigree, sophistication, luxury and a well established history of safety for not only the driver but for his/her passengers as well as other road users. All of this and more, masterfully wrapped up in a range of carefully selected, beautifully balanced materials. The vehicle comes fully loaded with the very latest, up to date 2017 science and technology that ensures reliability, safety for all, comfort, style and pleasure. 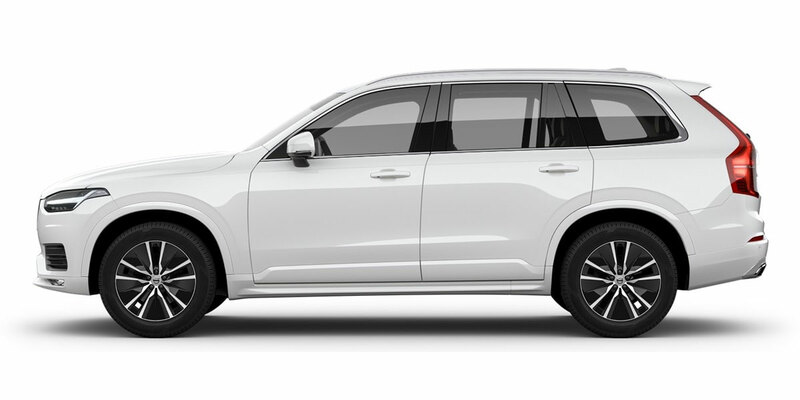 Make no mistake, while Volvo XC90 is expensive, it is worth every penny. Moreover, sitting behind the wheel of this car, you will certainly turn many heads! This is my 3rd XC90 and is the best yet. No major criticisms so far, my only comment would be that I would have liked a paper owners manual so I could sit in my study and read it at my leisure. There is a lot to take in and after about 2 weeks I think I have just about got the settings right. Absolutely wonderful vehicle. Tech through the roof and extremely comfortable, smart and practical for a family, no matter how many members in it. We found the staff very helpful and courteous. We find the car very comfortable, very easy to drive and the interior space answered all our requirements. Spot on, thank you. Great car, so much versatile space. Lovely drive. Perfect for families. Reasonable running cost for a large vehicle. We love our new car. It has more bells and whistles on it than you could imagine. Its very comfortable and a dream to drive. Although it is a large car it does not feel in anyway difficult to drive. Great finish, great safety and absolutely state of the art car. Volvo have definitely entered a new world of technology and safety. I chose this car after reading many reviews, and I can tell you it was the best decision. The car includes my chosen options and overall the car is brilliant, the best I have owned. Design, build quality, aerodynamics, engine power, fuel economy and comfort all get top marks. This car is in the low band road tax, and has lots of safety features and beneficial applications. I am very pleased with my car, I love it. Recommended, a lot of top quality car for less cash. Oh, not forgetting, the staff at Doves Volvo, Preston, they are very helpful. Thanks to Neil, Mike, Nigel. Excellent car, the most luxurious vehicle I've ever owned. Spent months researching different makes and always fell back into the Volvo marque. Initially looking at the XC60 but the XC90 was by far the better looking and the most attractive option for us, how right we were. It's a real head turner which you would not expect from a Volvo. This particular model has, I believe, put Volvo ahead of the game in the SUV market. As good as, if not better than, a Range Rover and only half the price of the aforementioned vehicle. Win Win! We love our new XC90, so many improvements as standard compared to our old model and still well priced!